If you look up best rifle reloader online you’re going to find a lot of competing brands and products, but one name that stands out is Lee Precision. Since the company was founded in 1958 it has continued to grow and now makes some of the best reloading products in the world. Of their various rifle reloaders the two that get compared a lot are the Lee Precision 50th Anniversary Kit and the Lee Precision Classic Turret. These are two of the best but which one is better? That is what these reviews will try to figure out. 2 What is the Best Rifle Reloader? 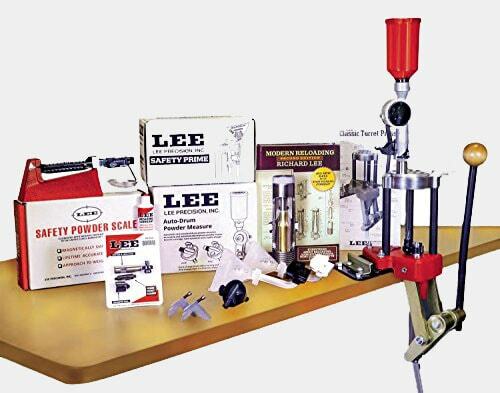 The Lee Precision 50th Anniversary Reloading Kit includes the single stage press as well as several accessories. These include a sizing lube tube, a primer pocket cleaner, a case mouth chamber tool and a powder measure among others. The Lee has an O-shaped frame that allows you to reload just about every case and for all calibers. There is plenty of space so your hands can move around freely and handle the reloading procedure. The opening is bigger than those on other rifle reloaders, and this leads to better movements. The Lee rifle reloader has a safety scale and it’s built for all shooters. The scale is built from phenolic metal so it can withstand heavy pressure. The scale is not only durable as it is also accurate. The measurements on the scale has been approved by the US Bureau of Standards, and that should give you an idea of how accurate it is. The scale is the perfect complement for its powder measure as it ensures you’ll pour the proper amount in the bullet. The Breech change bushing allows you to customize the settings. With this you can set specific preferences for every die you utilize for reloading. This feature allows you to position the die in the bushing the exact way you want. This also lets you install and remove the die easily. The 50th Anniversary Kit comes with a detailed but easy to follow manual. Even if you’re new to rifle reloading the user guide outlines all the steps carefully. 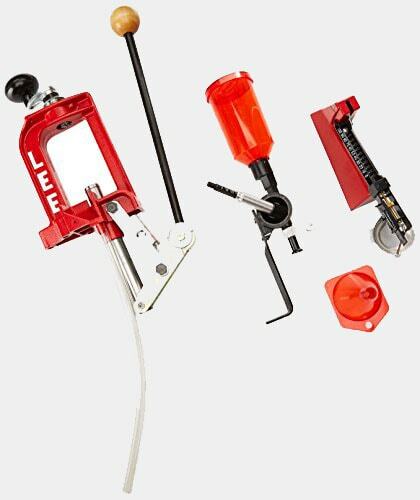 In spite of all the components, accessories and features, the Lee 50th Anniversary rifle reloading system is easy to use and low maintenance. Its spacious clearance is another plus. The Lee Classic has been around for a while, but it’s still a favorite among long time rifle reloaders and novices. Put it simply, the Classic comes with all the necessary accessories as well as a detailed manual. The beam is suitable for beginners and detects grain changes owing to its sensitivity. For best results you need to calibrate this prior to being used. The turret has four holes that performs automatic indexing via a rod that is connected to the ram. The ram design makes it easy to link to the lever and mount the Ram Prime. The lever is easy to adjust and for left and right handed users. This is a well made turret that doesn’t need a lot of maintenance. All it needs is a bit of lubrication and resizing long and short firearms will be easy. The Pro Auto-Disk Powder Measure functions by pushing a disk below a powder hopper before pouring the powder into the casing. You can adjust the amount of powder by rotating and switching the disks. A riser is included that you add to the die so the hopper gets past the priming arm. There’s a pack that contains a primer pocket cleaner, a chamfer tool a trimmer lock stud and a case cutter. A case of lube is also included. A large and small safety primer feed are included. These feeds come with a disc that contain the primers and sends them to the Ram Prime. When you tap at the stroke, the arm gets pushed. By pressing a button you’ll force the fed to send a primer to the Ram Prime. The best is not necessarily the most expensive. It is a mistake to equate cost with efficiency as it actually comes down to quality. 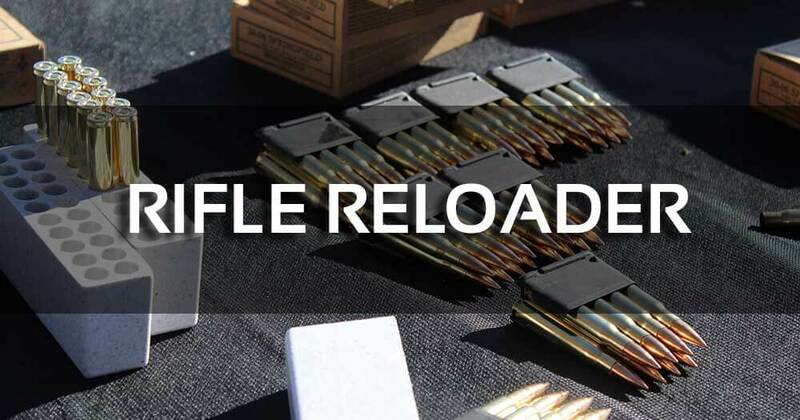 The finest rifle reloader is the one that matches your requirements, and I believe the two products here can satisfy even the more demanding reloaders. Here are some things to keep an eye on. You can choose between a turret, single stage or progressive. Whatever you choose, make sure that it’s from a quality brand and that it’s capable of satisfying your current and future requirements. You also need to consider the specific features of the turret such as the number of stations, auto indexing etc. The kit should include essential accessories so you can start reloading. The essential tools are the ones mentioned here. A good rifle reloader should include pocket cleaners, trimmers, chamfer tools, scale, primer feed and others. The importance of this tool cannot be stated enough. You have to make certain you pour the right amount of powder for the cartridge to fire correctly. The Lee 50th Anniversary Reloading Kit and the Classic Turret are both excellent products, but I have to give the edge to the Classic Turret. It is made of quality components and offers smooth performance that’s hard to find in affordable reloaders. The turret is the centerpiece and deservedly so as it is flexible, versatile and handles different types of rifles. But it’s not just the turret as the accessories are also well made. Deciding which of the two Lee Precision products is the best rifle reloader was not easy. However when all is said and done i have to say that the Classic Turret more than lives up to my expectations.